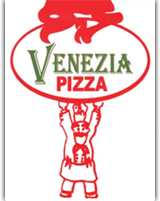 Family owned and operated, Venezia Pizza serves up the best homemade Italian food in Brampton, Ontario. We are proud to serve your family the delicious home-grown recipes passed down from ours. All ingredients that go into the preparation of our menu selections are 100% natural with no fillers. You can feel good about treating you and your family to our classic Italian dishes. Are you the owner of Venezia Pizza ?